I can’t believe we’re almost at the end of 2016. 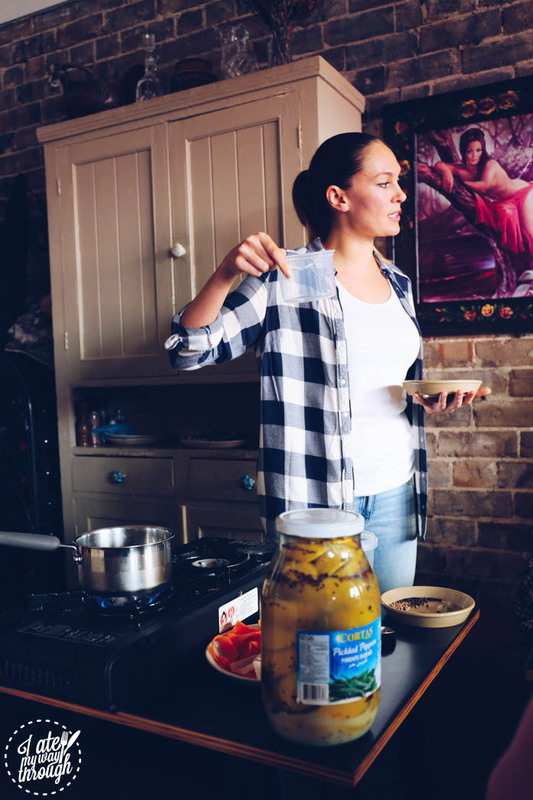 One of my greatest culinary achievements this year was learning how to pickle. Earlier in the year, I purchased my first daikon –slightly intimidated, I lugged home the hefty white radish, peeled it and broke it down into small rectangular batons, slightly larger than the size of French fries. I dissolved sugar and salt into warm water, stirred in white vinegar and proceeded to sterilise a random collection of jars and filled them with the daikon strips and vinegar concoction. Before I knew it, the top shelf of my fridge was full of pickled daikon, ready for Vietnamese vermicelli bowls and banh mi. 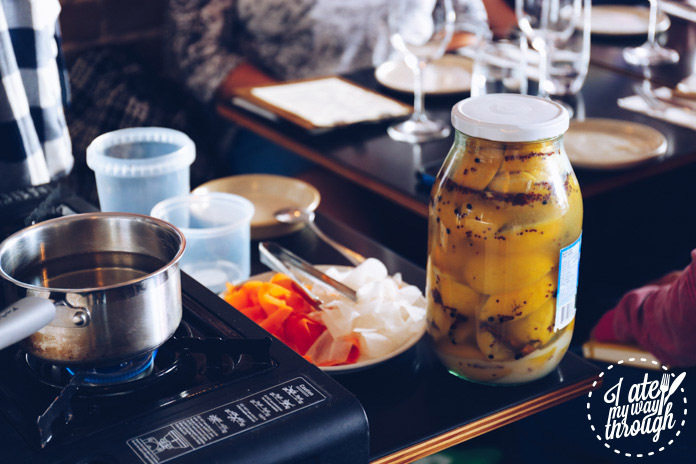 A few months ago, we partnered with Sefa Kitchen to run a pickling class and Mediterranean long lunch and since that day, my pickling repertoire has expanded to include some of the best pickles I’ve ever had — my signature pickle being cauliflower spiced with cloves, fennel seeds, coriander seeds, peppercorns, cardamom and my Mum’s homegrown turmeric. 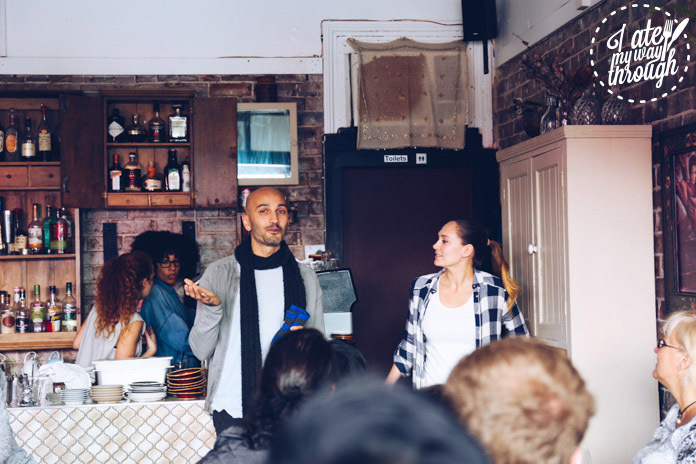 The first time I met Sefa Kitchen owner Utku and his partner Leilani, we instantly bonded over a conversation about Middle Eastern spices and the rise of pickling so I knew we just had to collaborate! 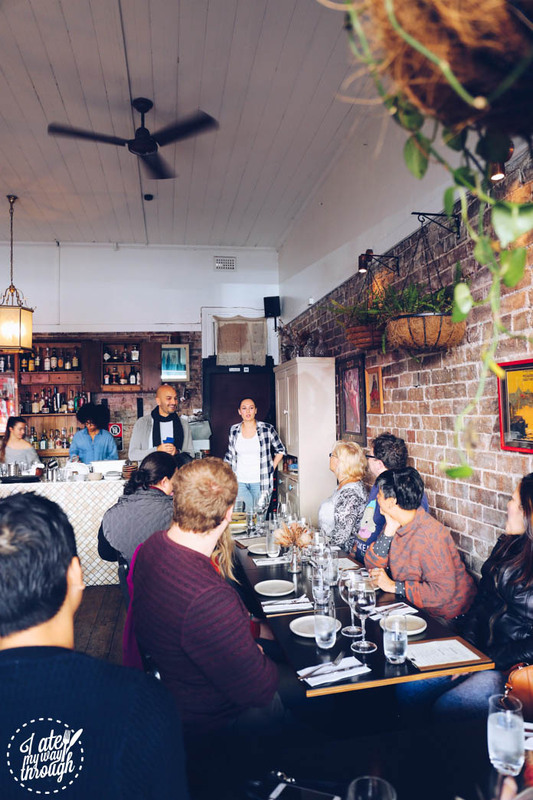 Sefa Kitchen is a popular wine bar by night but during the day, the restaurant is bathed with natural light and takes on a completely different feel. 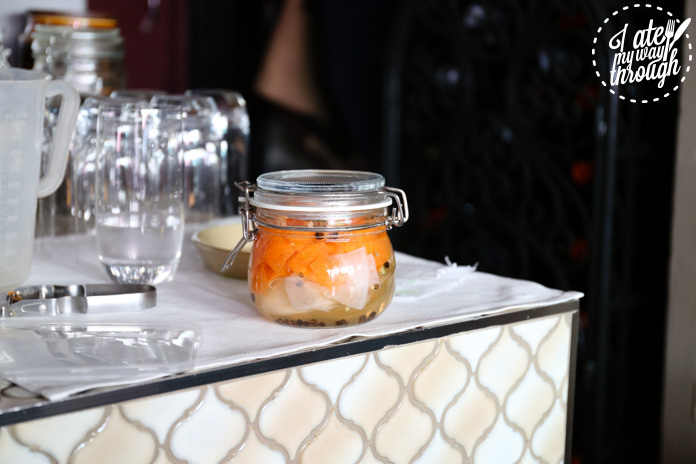 The event began with a demonstration on pickling and of course, we got to taste them too. It was amazing to see how a little spice and can go such a long way. 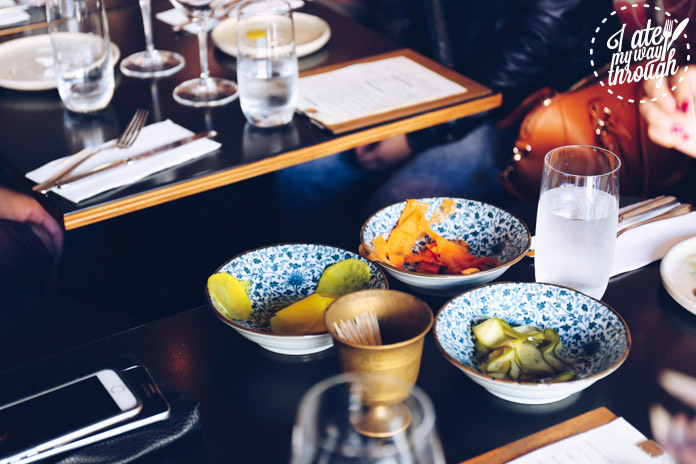 We sampled a selection of Sefa’s housemade pickles and spice blends, a favourite at our table being the za’atar, a fragrant zingy mixture of thyme, sumac and sesame seeds. 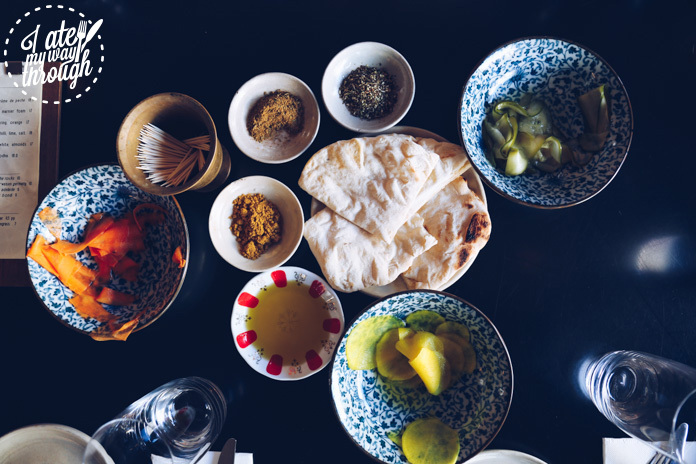 We tore apart the warm housemade manoush bread and flavoured each bite to our personal liking. 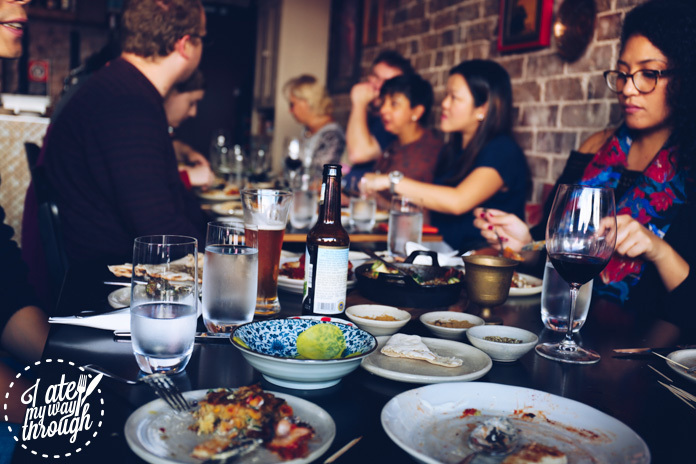 After the pickling and fermenting demonstration, the long lunch officially commenced and the dishes consecutively rolled out one after another. 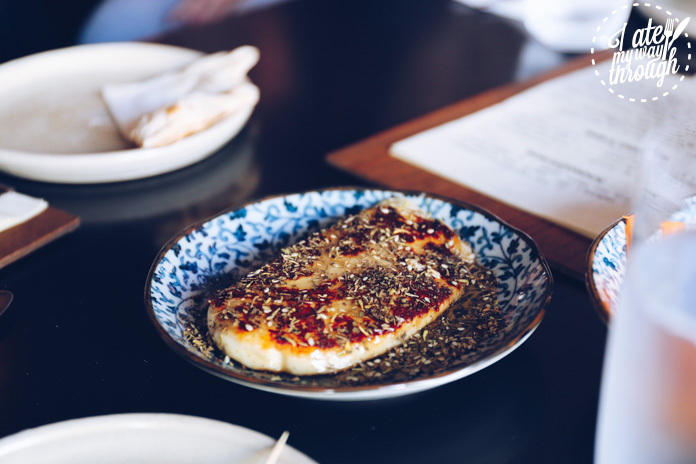 The housemade halloumi with Bondi honey and za’atar was simple, yet out of this world in flavour. 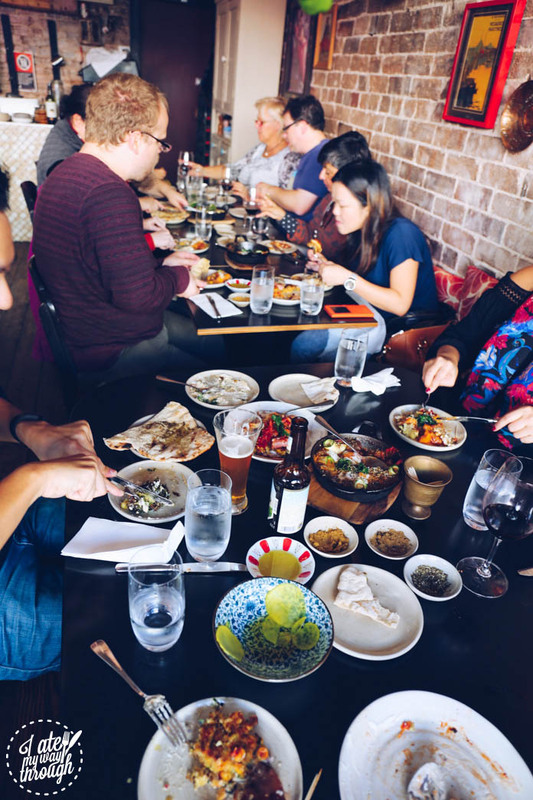 The cheese had the familiar squeaky texture of halloumi cheese and the floral notes of the local honey combined with the depth of the za’atar spice blend was perfection. 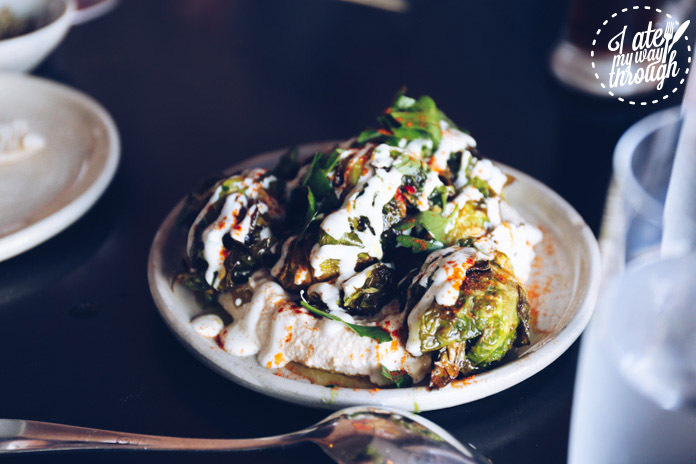 I’ve always loved brussel sprouts but for those who don’t, Sefa’s fried brussel sprouts with almond tarator is the type of dish that would convert you. Slightly caramel in flavour and still crisp in texture, I was delighted to see that these notorious greens were so well received. 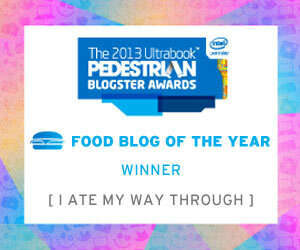 To fulfil the notion of breakfast (I mean, what’s breakfast without bacon? 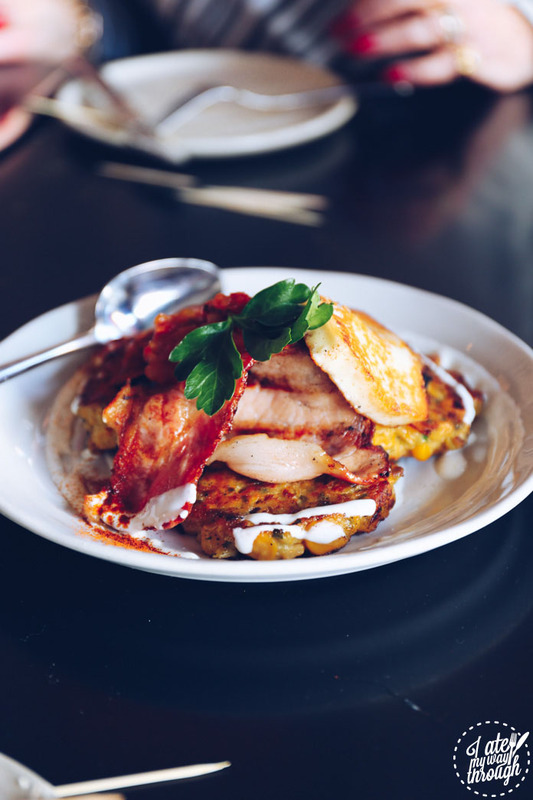 ), next up was a serving of leek & corn fritters with sour yoghurt and bacon. The sweetness of the corn paired beautifully with the salty savouryness of bacon; these disappeared off the plate in seconds! We also had Shakshuka with sucuk sausage and spiced tomato. 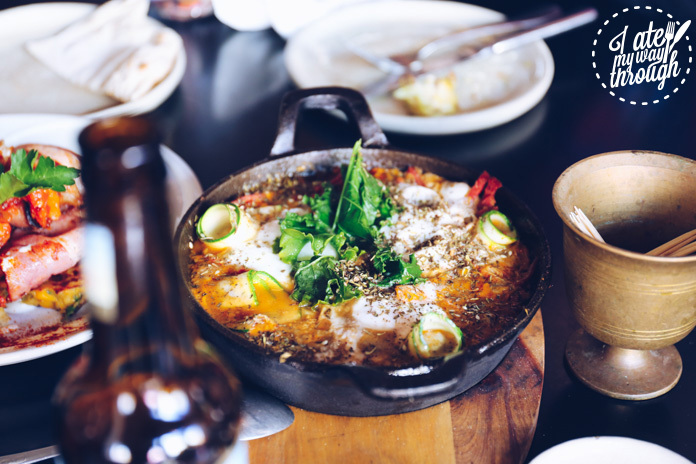 Although shakshuka has North African origins, these baked eggs are particularly popular in Israel. The eggs were just-set, as we spooned into the pot, the velvety texture of the yolk burst over the kale and fiery red sauce — the colours were vivid and enticing. 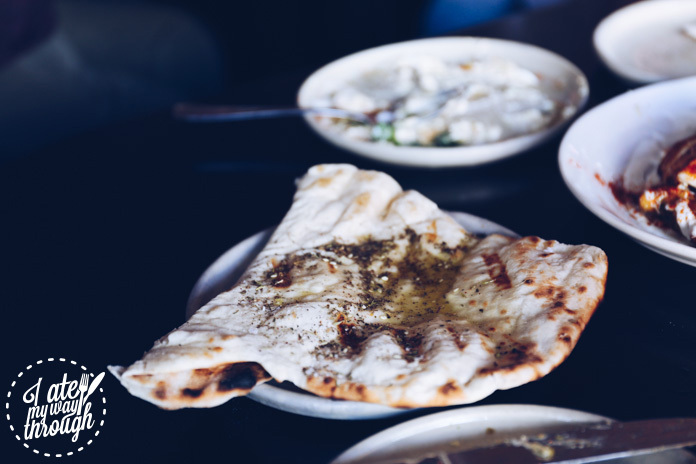 We continued to devour more flatbread and za’atar, the tangy spices seemed to accentuate and complement everything it touched. 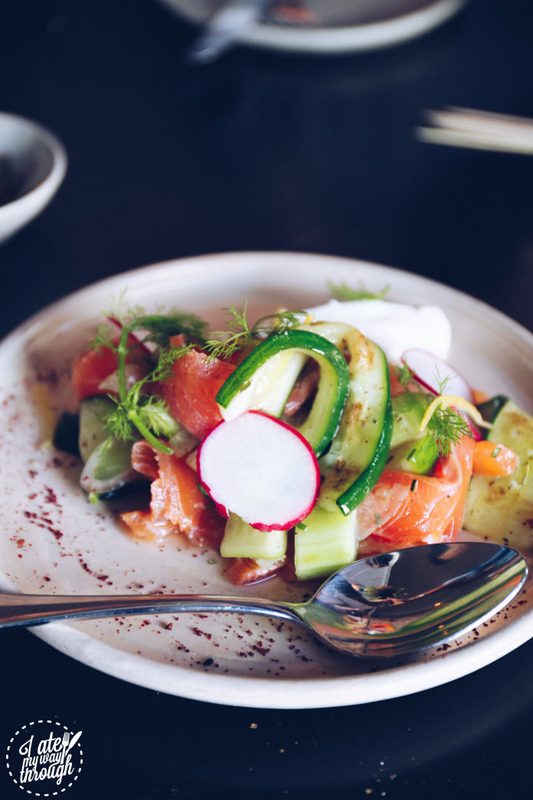 A lighter dish of Ouzo cured salmon with zucchini and housemade pickles showcased Sefa’s more refined approached to Mediterranean cuisine. 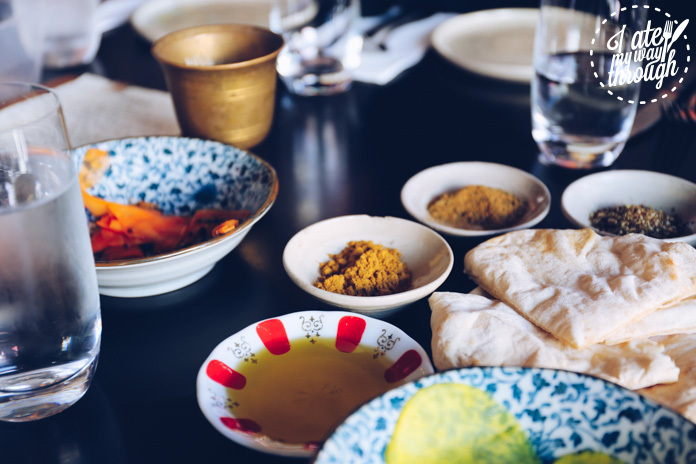 Having all just learned about spices, we all picked up the sumac notes on the dish and made a mental note to purchase some of this magical spice the next time we were at a Middle Eastern grocer. 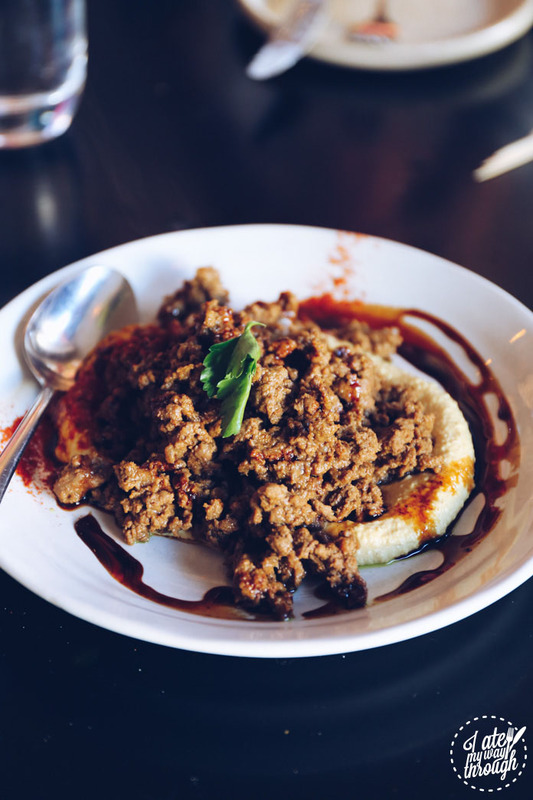 The last savoury dish was Fried lamb mince, hummus and pomegranate molasses. 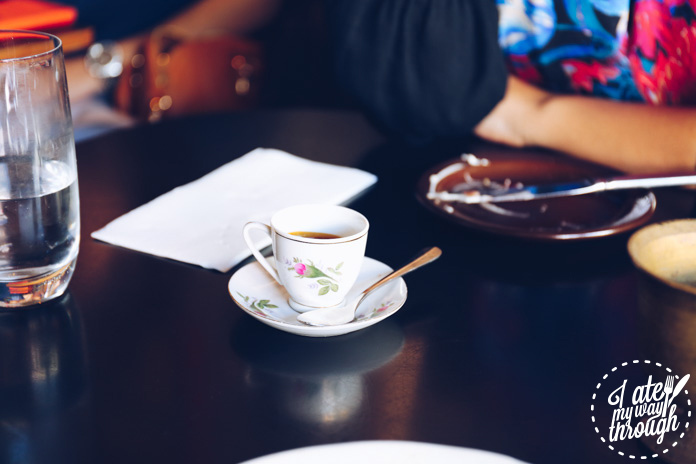 Although a hearty dish, the lingering sweetness of the pomegranate molasses was the perfect lead into dessert. 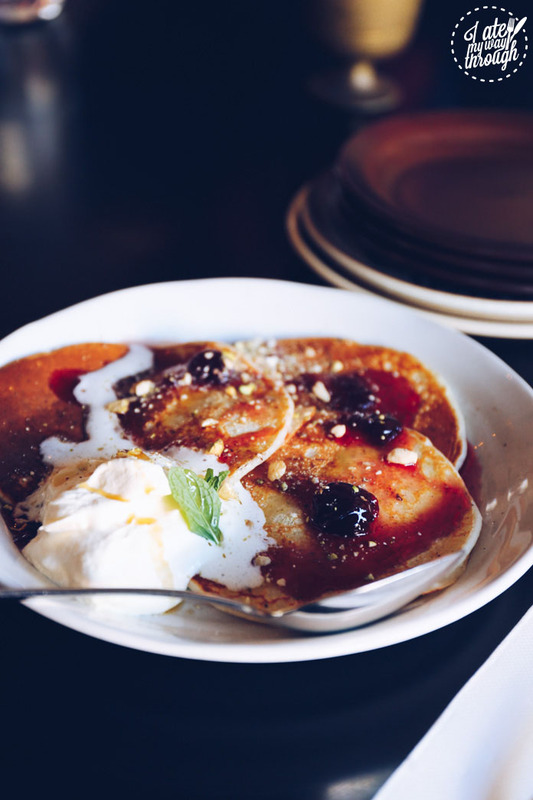 As our plates were cleared, we though we couldn’t eat any more, but the fluffly Pancakes with sour cherry jam, honey whipped cream and pistachios proved to win us over. 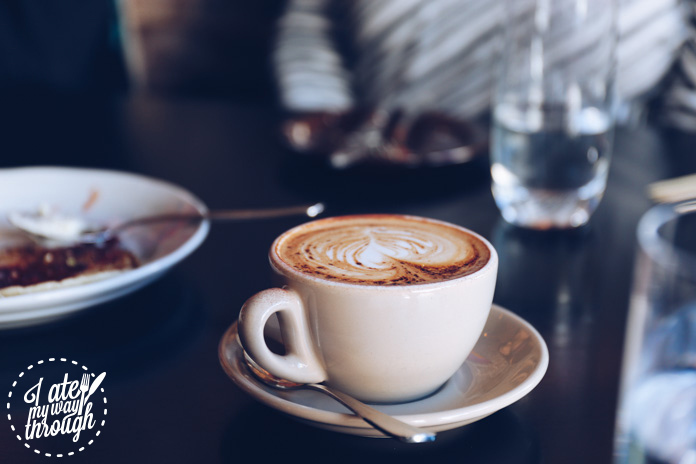 With some new friendships made, and new skills under our belts, I don’t think there could have been a better way to spend a few hours on a lazy Sunday! 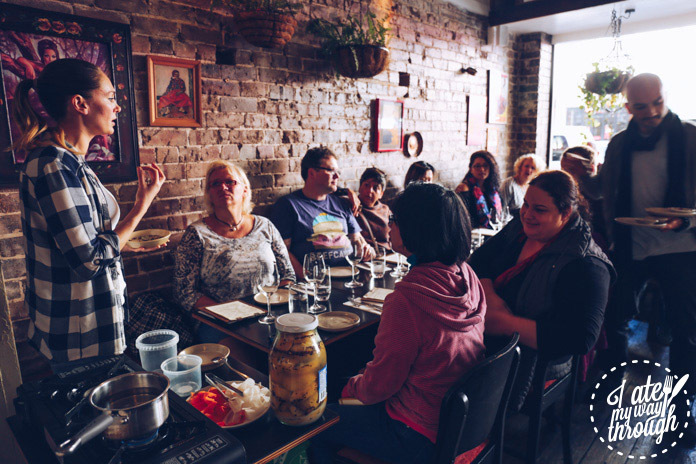 A big thank you to Sefa Kitchen for their warm hospitality! 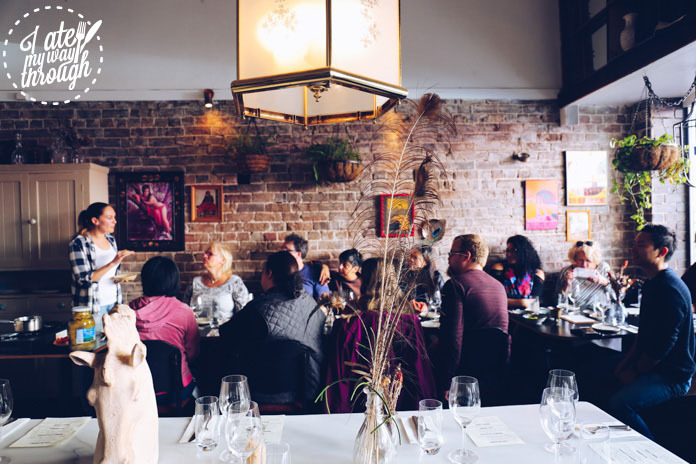 If you missed this Mediterranean Long Lunch + Picking Event, we’re planning to repeat it a few times in 2017, contact us for more information or view other I Ate My Way Through events and food tours.